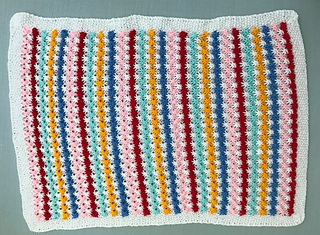 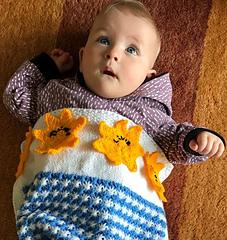 16" x 20", 25" x 29"
Instructions are given for a pretty knitted baby blanket with a seed stitch border in two sizes. 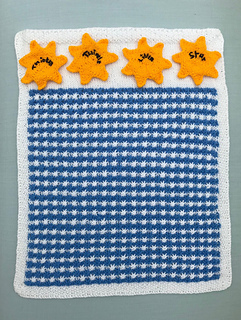 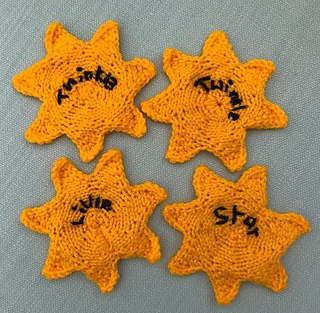 An optional embroidered star border can be added at the top. 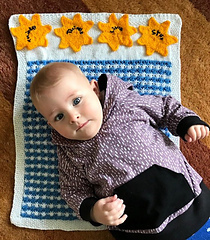 The pattern stitch is fully described with clear photographs.